Hyy there is a blasting offer for you presenting AJIO, Grab Flat 80% off & Extra Rs.300 off on Rs. 998 on Clothing + 7% FKM Cashback. Shop Anything From Ajio & Earn Extra 7% FKM Cashback. Hurry Grab this Deal Now. Offer Ends Soon. 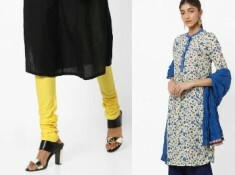 How To Flat 80% off & Extra Rs.300 off on Rs.998 on Clothing + 7% FKM Cashback?? make the payment with Free Shipping on Rs. 999 & above!! Once you complete your purchase, Get Extra 7% FKM cashback will be credited to your account, within 10-15 minutes.